Retro is back for 2019!!!! Come out and enjoy the vibe being brought to you by DJ Tamera James....as always there will be food and drink specials so bring you and ya peoples down to Waitiki on Friday January 18th and kick it! Retro is back for 2019!!!! This month we're doing something a bit different, focusing on producers...it only makes sense to take it to VA, home of the superproducers, Timberland and Pharrell Williams!!! 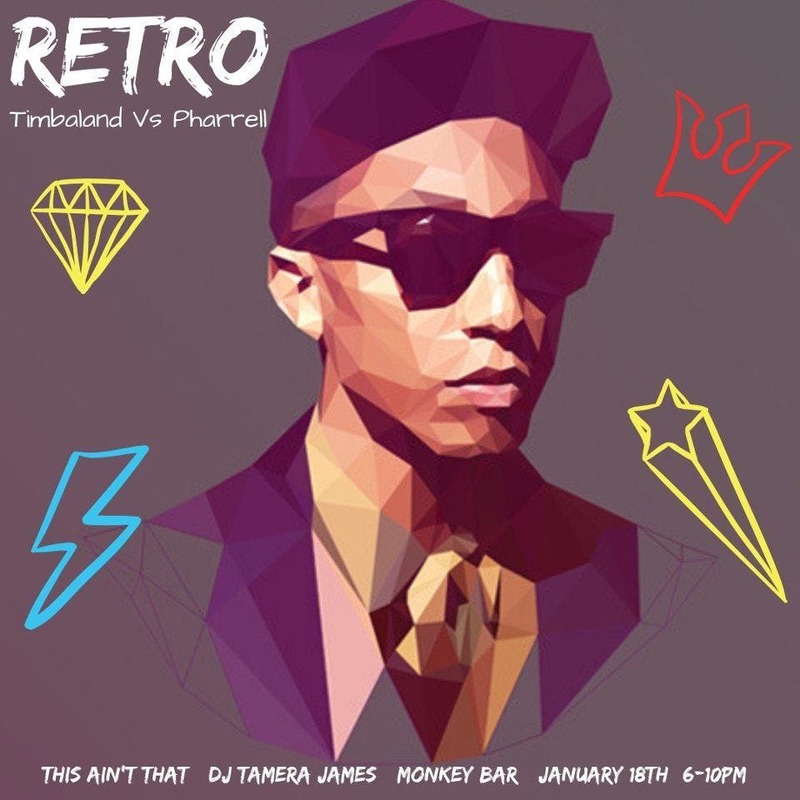 Come out and enjoy the vibe being brought to you by DJ Tamera James....as always there will be food and drink specials so bring you and ya peoples down to Waitiki on Friday January 18th and kick it!